The Rainforest Spa and Stream Chalets are individual self contained mountain chalet with double person spa bath, romantic fireplace, reverse cycle air-conditioning, linen, bathrobes, in-room telephone, free Wi-fi internet. Chalet built next to a cascading mountain stream. Lovely barbecue patio overlooking a cascading stream. Guest have free use of the hot tub and sauna, tennis court and mountain bikes. 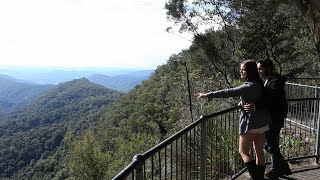 Only 400 metres away from World Heritage listed Springbrook Natural Park. The Rainforest Spa Chalets are individual self contained mountain chalet with double person spa bath, romantic fireplace, reverse cycle air-conditioning, linen, bathrobes, in-room telephone. Lovely barbecue patio built close to a cascading stream. Guests have free use of the hot tub and sauna, tennis court and mountain bikes. 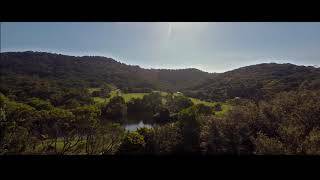 Only 400 metres away from World Heritage listed Springbrook Natural Park. The Luxury Rainforest Spa and Stream Chalets are individual self contained mountain chalet with double person spa bath, romantic fireplace, reverse cycle air-conditioning, linen, bathrobes, in-room telephone, free wi-fi internet and private outside hot tub. Welcoming breakfast included. Lovely barbecue patio overlooking a cascading stream. Guest have free use of the hot tub and sauna, tennis court and mountain bikes. 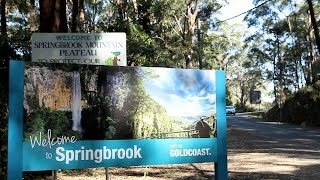 Only 400 metres away from World Heritage listed Springbrook Natural Park.